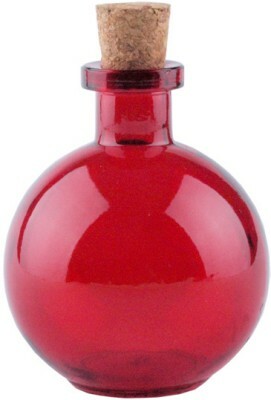 This glass ball diffuser bottle is�red in color. It stands 4" tall and is 3 3/8" wide. The opening is 3/4" wide.